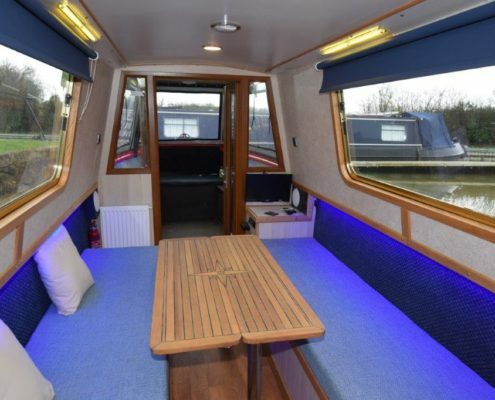 Book ‘COMET’ for that special birthday event or spend a few relaxing days (2 berth only but will take up to 12 passengers) cruising the Oxford Canal. 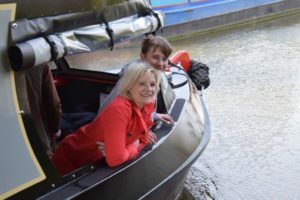 For that special day out on the Oxford Canal with friends or family, what could be more exciting than getting ‘afloat’ on one of England’s finest canals. 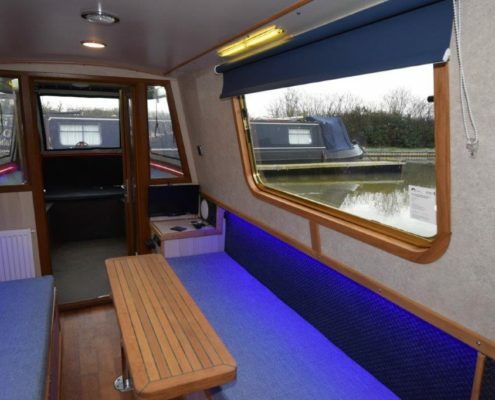 OXFORD CANAL BOAT HIRE. 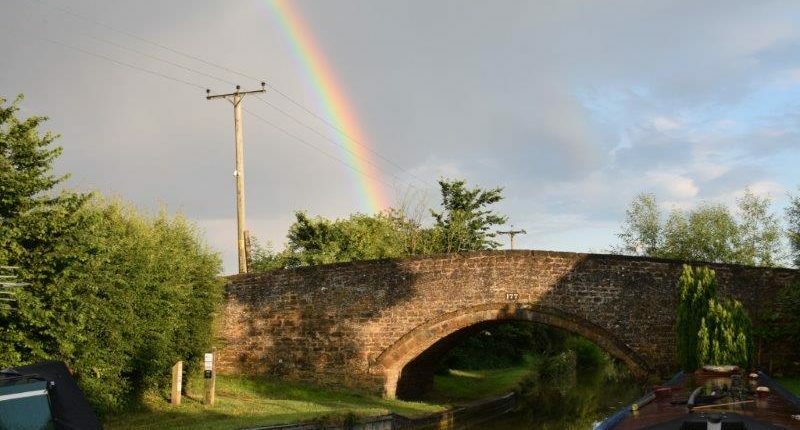 You do not have to spend a fortune to enjoy a beautiful day afloat on the Oxford Canal. 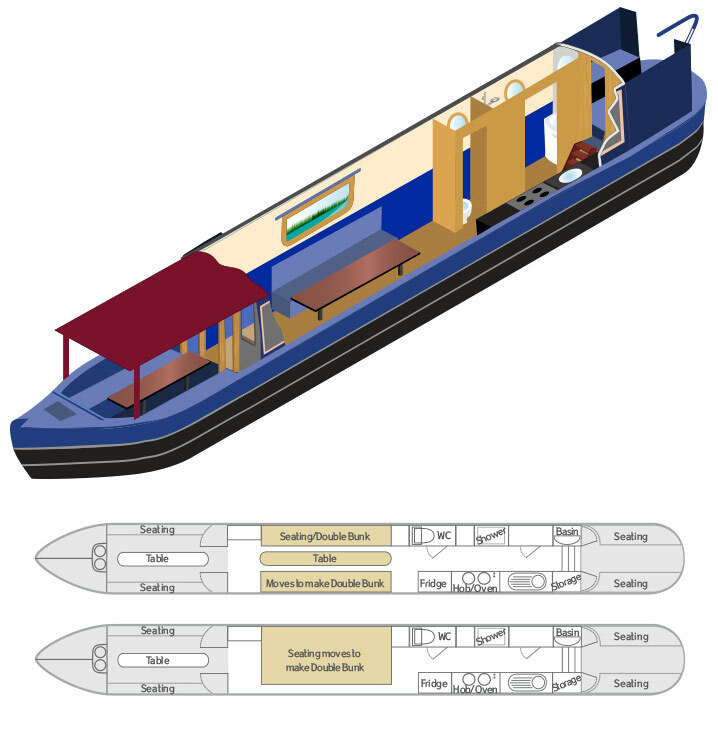 ‘Comet’ is easy to operate and the design of the boat allows it to be operated in all weathers. How about an evening ‘cruise’? 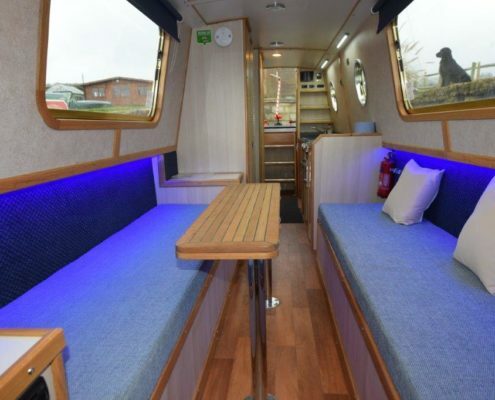 Bring the family, friends and have a party along the way, we will steer the boat while you enjoy yourselves. 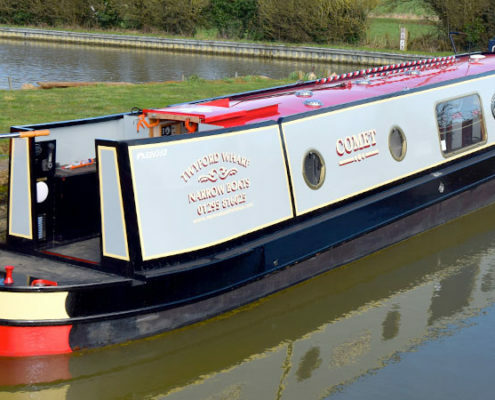 Twyford Wharf Narrow Boats have built their own luxury narrowboat (barge) for either Day hire or a Short break. 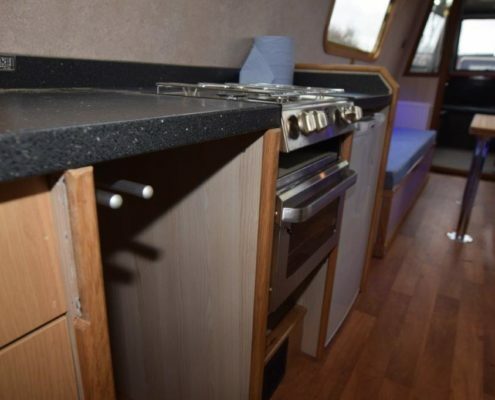 ‘Comet’ has an open viewing area at the front, has a cooker, electric toilet and shower. The boat is easy to handle and if you are a beginner, not to worry, as instruction will be given. ‘Comet’ can take up to 12 persons if you have the necessary helm’s certificate, otherwise we can provide you with a ‘skipper’ for the day. If you do not have a helm’s certificate then the maximum number of passengers is limited to 6 (including the driver/skipper). 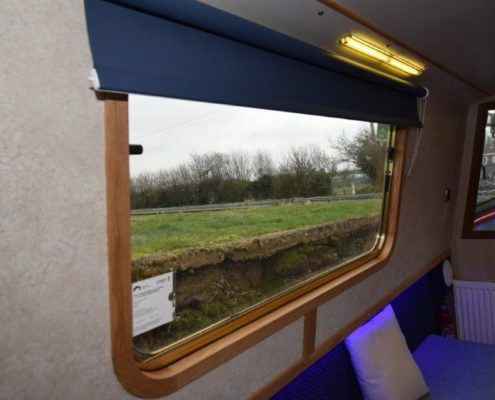 You can moor up along the canal bank at any convenient spot, set up your picnic tables on the bank or eat on-board. Alternatively you may wish to book lunch at a ‘pub’ and stop there. Whatever you decide it is a wonderful occasion for all the family and any of your friends. Whether you are celebrating an occasion or simply having a day out. 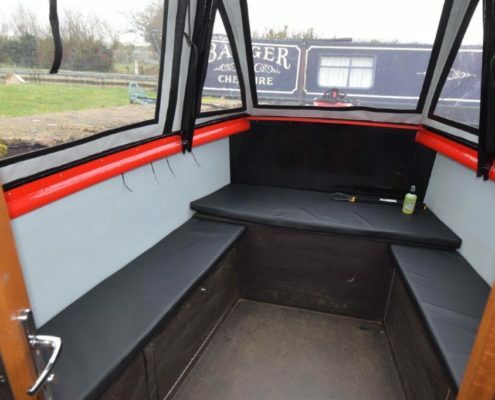 The all-weather covered fore deck area allows you to still admire the scenery without getting wet! 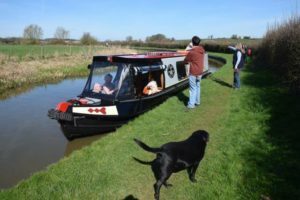 You will find that your children love to operate the locks, see different wildlife, run along the tow path or even steer the boat under supervision. We provide you with the necessary buoyancy aids and full instruction to enjoy your day in safety. You can cruise North or South on the canal, passing through the rolling Oxfordshire country side, stop at the The Great Western Arms in Ayhno for lunch, visit the Pig Farm at Nell’s Bridge, let the children see the piglets, ducks and buy your pork sausages for the afternoon trip home stopping for a cream tea on board! You will be amazed at just how peaceful and relaxing a day on the water can be. Turn that mobile phone off and simply listen to the water passing by and the birds. Enjoy the picnic that you have bought for the family, a bottle of chilled wine, strawberries and cream and you will not forget your wonderful day afloat in a hurry! If you wish your days cruising can be extended during the summer months. We can also do evening cruises during the summer from 5:30pm to 9pm.